President and Dr. Shaker Dakhil previously wrote and published an essay titled “The Roller Coaster” for The Big Casino: America’s Best Cancer Doctors Share Their Most Powerful Stories. 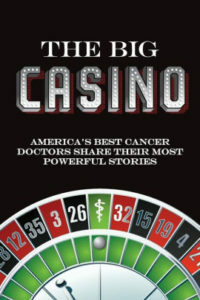 The Big Casino was published in May of 2014, which gathered pages of the world’s top oncologists and researchers most memorable stories and experiences in hope of connecting today’s cancer patients to those distinguished oncology related individuals. Recently, “The Roller Coaster” was published online at ASCO Post, a place where oncology professionals and members look for highly validated coverage, news and information related to the field of oncology. You can purchase The Big Casino from most retailers including Barnes & Noble, Amazon and Walmart. Additionally, you can read The Roller Coaster by Dr. Shaker Dakhil here. For more information on the ASCO Post click here.